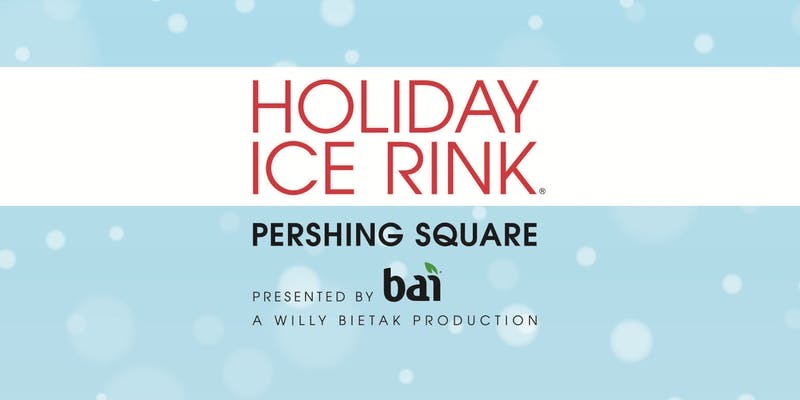 That time of year is back, which means the return of The Bai Holiday Ice Rink, taking place at Pershing Square. The seasonal offering, which takes place from Nov. 15 – Jan. 21, gives Los Angeles a real taste of winter with a 7200 square foot outdoor ice-skating experience! A wide variety of events will take place throughout the duration of the rink, including the Icebreaker Opening Celebration on Nov. 15 at 11 a.m., which sees the cast of Wicked performing a skated number with special guests and more. Silent Skate Party will be held Nov. 28 and Dec. 19, Learn to Curl on Nov. 17, Dec. 15 and Jan. 12, and a residency by DJ Spotlight and DJ Howly will take place every Thursday except Thanksgiving. Tickets and more information, including the various events offered can be found at the link below. Skate sessions last 60 minutes. Hours will be listed below.